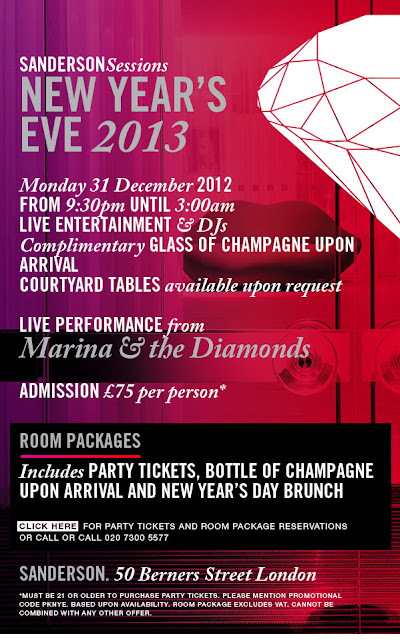 The highlight of Sanderson’s New Year’s Eve party will be an acoustic live performance from Marina & the Diamonds. Long Bar, Courtyard & Suka will become one venue with general admission tickets available for £75 which will include a complimentary glass of Champagne on arrival. Tables on the Courtyard will be available for a minimum spend of £650.